Roofless barns are one of many challenges at hurricane-ravaged Camarero race track. Photo courtesy of Albert Davila. 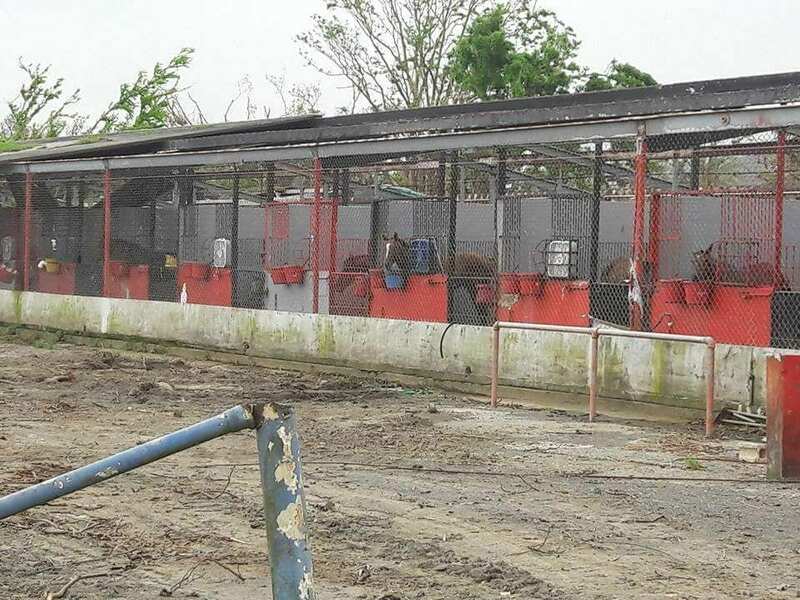 Four months after Hurricane Maria ripped through Puerto Rico, wreaking havoc on Hipodromo Camarero racetrack in the process, the situation is still grim for its equine population. While electricity and running water have been restored, and live racing has resumed three days a week, the barn area remains a shambles and horses are being euthanized at a steady pace. 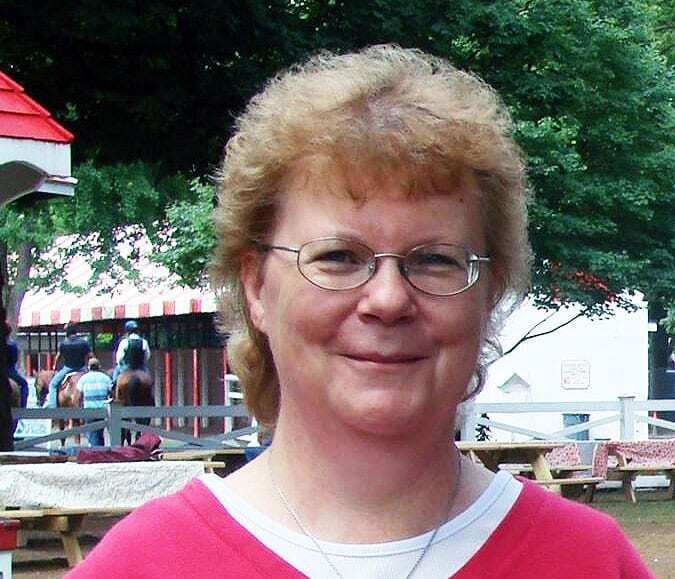 But had it not been for the heroic efforts of Kelley Stobie and Shelley Blodgett of Caribbean Thoroughbred Aftercare, the death toll would be much higher. The CTA is a nonprofit organization founded last year with Eduardo Maldonado, currently vice president of Potrero Los Llanos, one of the most prestigious breeding operations on Puerto Rico, and it transitions horses from Puerto Rico and the Virgin Islands for post-racing lives, both on the islands and back on the U.S. mainland. Stobie, an equine therapist who has lived in Puerto Rico for 25 years and who started the first OTTB rehoming program for Camarero, Save The Horses, Inc., in 2010, was on the scene immediately after Hurricane Maria – now regarded as the worst natural disaster on record in Dominica and Puerto Rico. She helped clear access to the horses so that they could be watered and fed. Blodgett, a retired clinical psychologist in Wellington, Florida, was in contact with industry organizations such as Thoroughbred Charities of America, The Jockey Club, the American Association of Equine Practitioners, Ranch Aid (a FEMA-appointed organization that assists with logistics and care for large animals during natural disasters), Brook Ledge and Lorraine horse transportation, the Thoroughbred Aftercare Alliance, Thoroughbred Retirement Foundation, and the U.S. Equestrian Federation, to name but a few. With a response both immediate and overwhelming, organizations began donating planeloads of feed, hay, veterinary supplies and other necessities. Despite the outpouring of help the last four months, many – perhaps most — of Camarero’s horses remain in trouble. To date, more than 100 of the total horse population of about 1,000 have been euthanized, nearly all from colic or laminitis. CTA knows the names of 67 horses, but there are 40 more that Camarero security has euthanized but hasn’t revealed the names. Stobie said that there about 20 horses that are in very bad shape, housed in portable stalls by horsemen that have little money. The track is currently running three days a week, but may go to four days in February, he said. Only about 75 percent of the off-track betting sites in Puerto Rico are operating, and the amount of money bet is not at the same level as before the hurricane struck. The CTA will take in a horse if it’s sound, and from the track it’s sent to the CTA farm on the island. From there, Blodgett is in touch with owners, breeders, farms and rescue organizations in the U. S., and if a home can be secured arrangements are made for the horse to be flown back. Stobie also works with the two veterinary clinics near Camarero, which often contact her if they find a horse that would be a candidate for the CTA’s services. Another problem many horses face is testing positive for piroplasmosis, a tick-borne disease caused by one of two protozoan parasites. Once a horse tests positive, it cannot be shipped to the U. S. mainland. Among the horses euthanized in the aftermath of Hurricane Maria was Pennsylvania-bred Ryan’s Gift, a 10-year-old son of Bernstein bred by Betty Sue Walters and sold at the Fasig-Tipton Midlantic 2008 Eastern Fall yearling sale. At 3, Ryan’s Gift won the Lil E. Tee Handicap at Presque Isle Downs, while at 4 and again at 5 he was second in the Leematt Stakes at the Erie oval. Ryan’s Gift made his final stateside start a winning one, capturing a $5,000 claiming race at age 8 for owner JR ADA Racing and trainer Rafael Rohena on Nov. 19, 2015. Two months later, he was competing at Camarero. Overall, Ryan’s Gift made 80 starts, won 19 and placed 27 times, and earned $439,805. Blodgett said that CTA also helps horses on St. Thomas, St. Croix and Antigua. Because racing on those islands is not strictly regulated, it is hard for the CTA to trace horses, especially on Antigua, where horses’ names are often changed, partly out of defensiveness, but with the goal of concealing identities. “The support we’ve been getting from the industry in the United States is amazing,” said Stobie. But the situation requires more. Stobie said that, at this point, CTA was in need of monetary donations, especially to help with the quarantine and transportation costs to the U. S.
To make a donation and learn more about Caribbean Thoroughbred Aftercare, visit the organization’s website. On January 12, it was announced by the NTRA that Stobie and Blodgett will receive a Special Eclipse Award on behalf of CTA and the countless individuals that participated in the relief effort at Camarero.